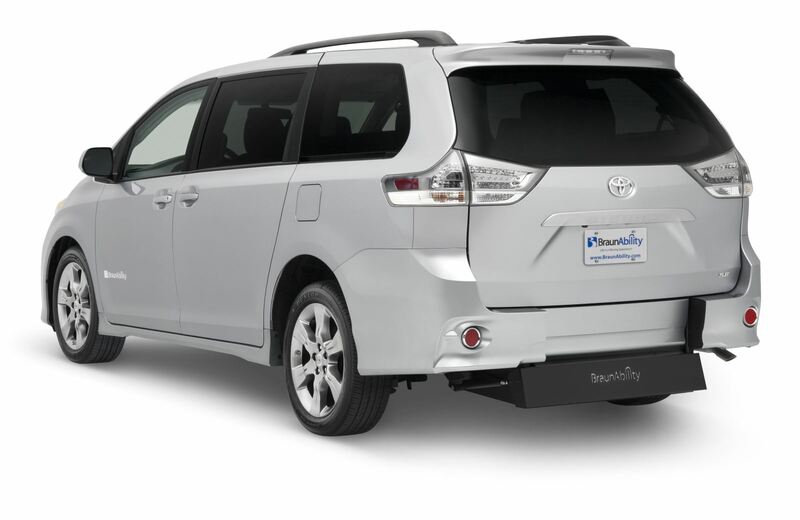 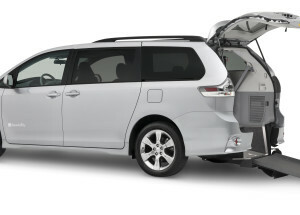 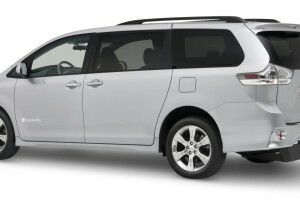 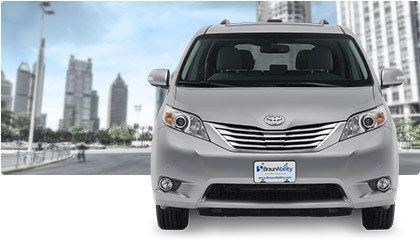 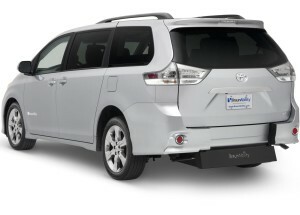 The Toyota Power and Manual Rear-Entry combines the power and comfort of the Sienna with the ease-of-use of a rear-entry. 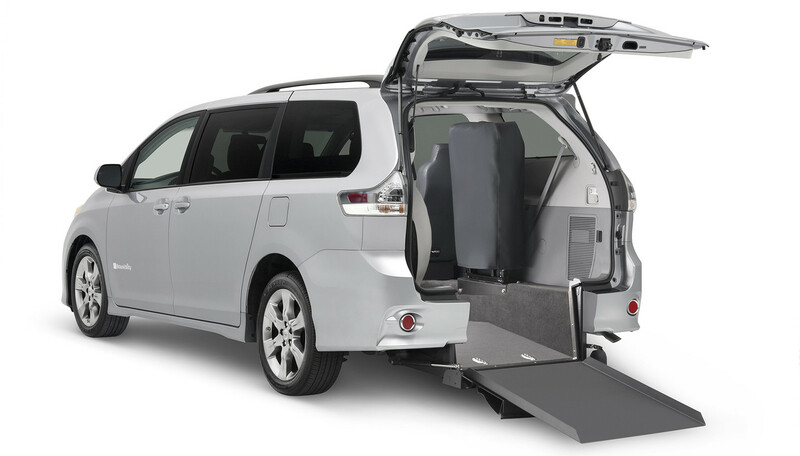 The 32” wide ramp accommodates larger wheelchairs, and our lowered-floor interior has space for up to two wheelchair passengers. 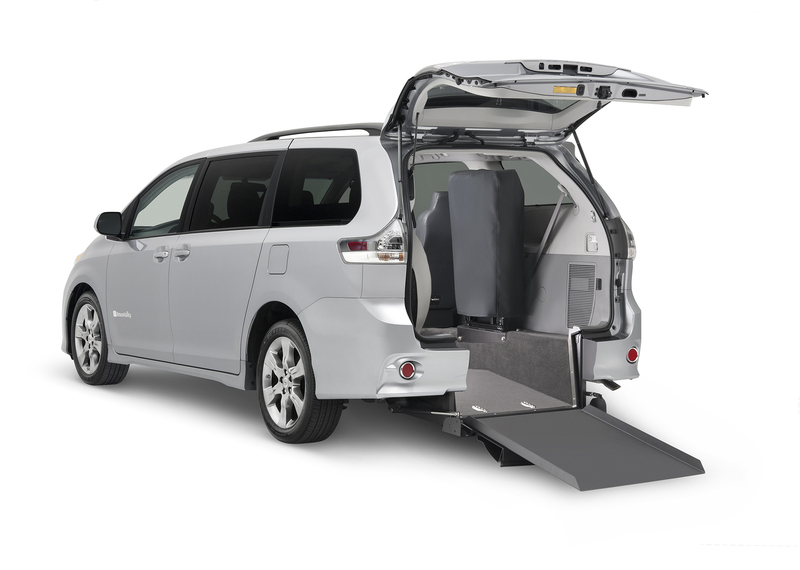 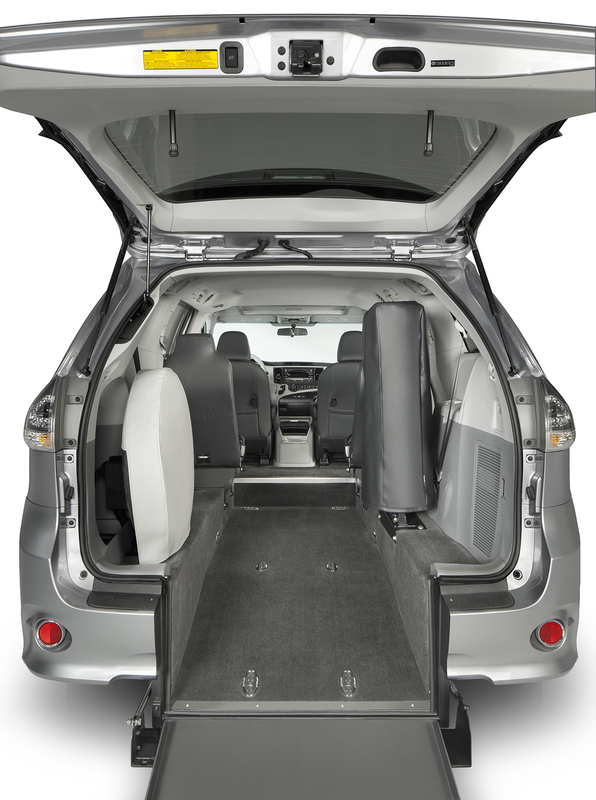 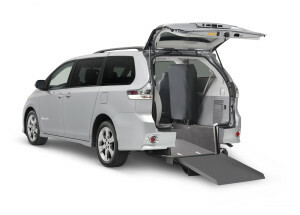 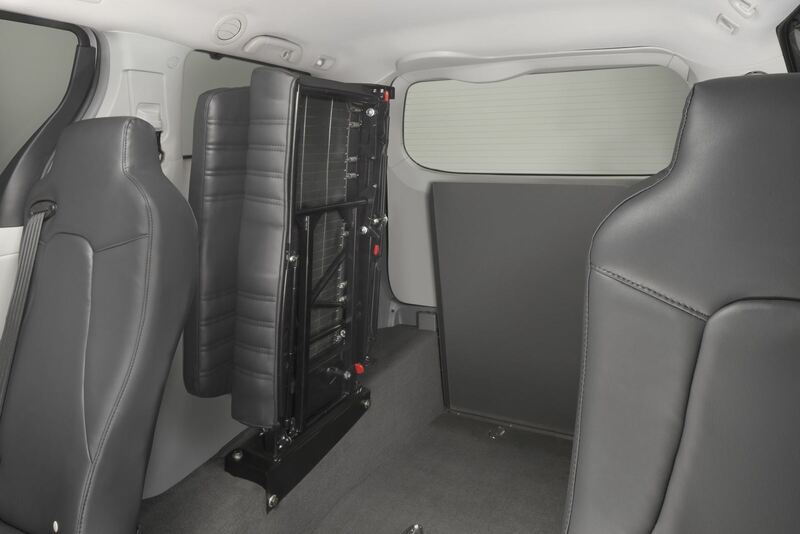 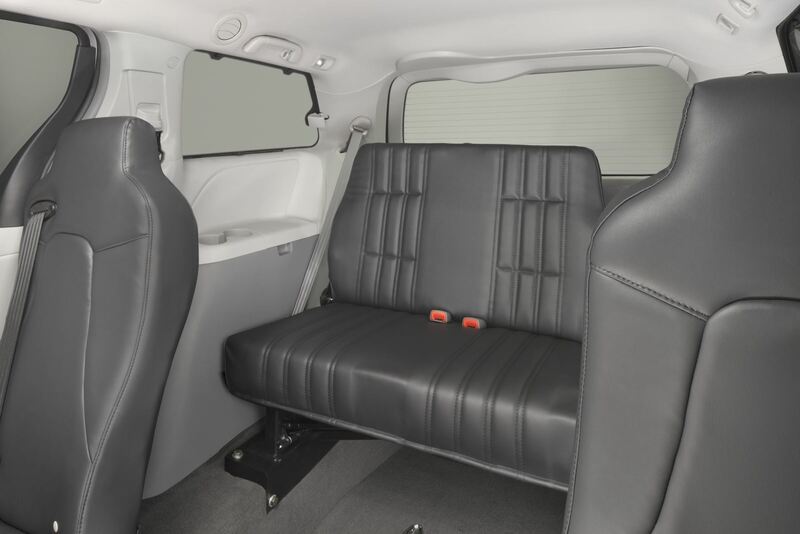 With 25” of space in the middle seating position, the Toyota Power and Manual Rear-Entry offers the option for wheelchair passengers to ride in the 2nd rows (when aftermarket seating is installed). 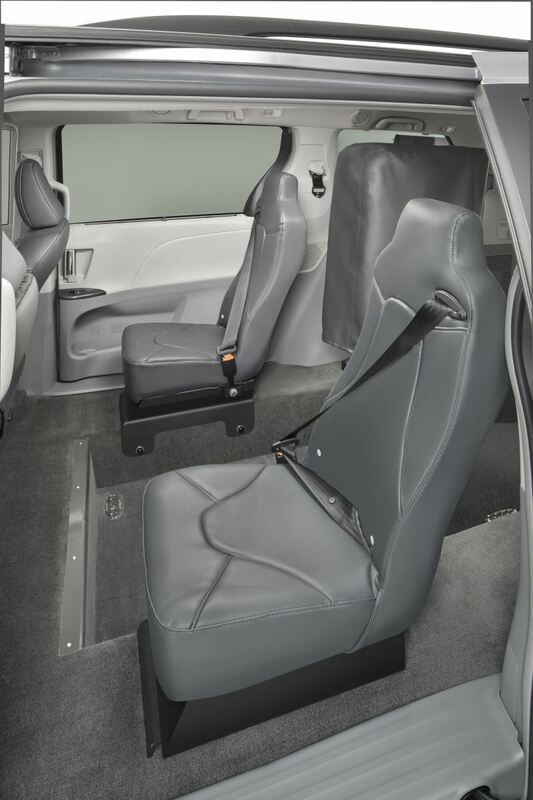 A variety of seating options can be installed to best meet your needs, depending on the number of passengers you need to accommodate. 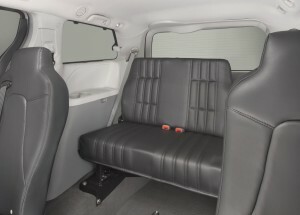 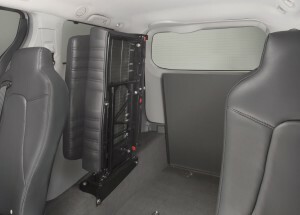 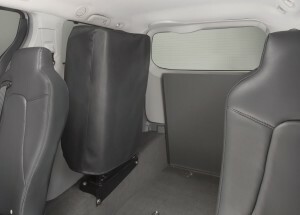 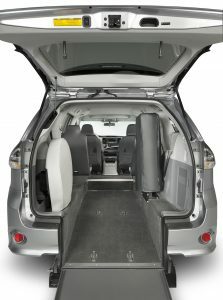 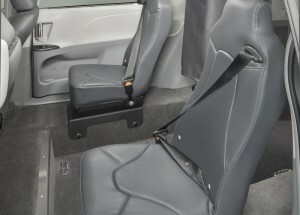 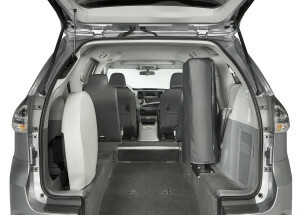 Depending on the vehicle, seats can be folded or replaced to better fit additional wheelchair or ambulatory passengers.